Dasco Signs is a full service sign shop. Full service means we fabricate, install and service signs. There are only a handful of sign shops that can do it all. And we are most fortunate to be one of them. We can produce the following types of signs: electric (we are a U.L. listed sign shop), routed/dimensional, commercial, magnetic, sandblasted and vinyl application signs. Let us know what you want. We can probably do that too! We fabricate illuminated and non-illuminated awnings of all sizes, shapes and materials.One of our specialties is the fabrication of channel letters. Need assistance with your logo? We have the knowledge and graphics design programs to help you along. Need to get a permit? We can help with that too. For installation and service, we have a 65' crane truck, a 45' bucket truck and backhoe. Our employees have NCCCO crane operator's licenses. Dasco Signs is a family-owned and operated company located in Southern Maine. Scott Stanton, owner, sign maker and master electrician opened the company back in 1983. Long before he started Dasco Signs, Scott was in the sign business. Since the age of 11, he worked with his father servicing signs. If asked, he will tell you that he always wanted tobe a sign maker. 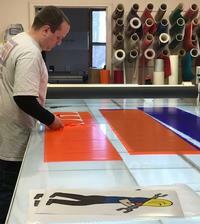 Today, Dasco Signs is a reputable sign company that has done millions of dollars of sales over the years. We cover a vast area throughout the Northeast. We do work in Vermont, Upstate New York, New Hampshire, Rhode Island, Connecticut, Massachusetts and of course Maine. 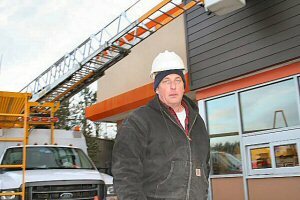 Scott is a member of the United States Sign Council, Maine Sign Association, International Sign Association and is a board member of the Northeast States Sign Association. He subscribes to Sign Business, Signs of the Times, SignCraft, Sign Business Illustrated and reads them front to back. He attends the local (and sometimes not so local) sign trade shows to keep current on this ever changing business. He recently received a certificate from UL University, increasing his knowledge for the design and complianceas a UL shop. He has all the proper sign and electrical licensing. This sign guy knows his stuff!